C.R. Richards has read 19 of 30 books. C.R. Richards read 33 books of her goal of 24! Is there anything better than being completely immersed in a thrilling Whodunnit? Or traveling along on an Epic Fantasy adventure with your favorite heroes? I love exploring the possibilities with my characters. Based on "What If" scenarios, my stories take readers along as I journey to uncharted territories. My literary career began as a part-time columnist for a small entertainment newspaper. I was their food critic, entertainment reviewer and cranky editor. Eventually I decided I was sick of ramen noodles and baked potatoes. I went back to school and jumped into Information Technology. The literary bug, however, had already bitten me. I've co-authored two horror/ dark fantasy books. My first solo novel, Phantom Harvest, won the EPIC 2014 Is there anything better than being completely immersed in a thrilling Whodunnit? Or traveling along on an Epic Fantasy adventure with your favorite heroes? I love exploring the possibilities with my characters. Based on "What If" scenarios, my stories take readers along as I journey to uncharted territories. My literary career began as a part-time columnist for a small entertainment newspaper. I was their food critic, entertainment reviewer and cranky editor. Eventually I decided I was sick of ramen noodles and baked potatoes. I went back to school and jumped into Information Technology. The literary bug, however, had already bitten me. I've co-authored two horror/ dark fantasy books. My first solo novel, Phantom Harvest, won the EPIC 2014 eBook Award for Fantasy Fiction. C.R. Richards is currently not accepting new questions. We’d love your help. Let us know what’s wrong with this preview of Blackout by Rob Thurman. We’d love your help. Let us know what’s wrong with this preview of Roadkill by Rob Thurman. We’d love your help. Let us know what’s wrong with this preview of Cashvertising by Drew Eric Whitman. We’d love your help. Let us know what’s wrong with this preview of Deathwish by Rob Thurman. We’d love your help. Let us know what’s wrong with this preview of North of Boston by Elisabeth Elo. We’d love your help. Let us know what’s wrong with this preview of The Hippopotamus by Stephen Fry. We’d love your help. Let us know what’s wrong with this preview of Leonardo's Brain by Leonard Shlain. Thanks for sending a friend request to this mystery author on Goodreads! I hope you will put my books, A Real Basket Case, To Hell in a Handbasket, and the upcoming Deadly Currents, on your to-read list. 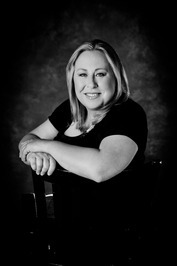 If you'd like to enter a contest for free mystery books, sign up for my email newsletter at: http://bethgroundwater.com/ .